As Florida Preps For "Catastrophe"
Update 3: The Irma hits just keep on coming, with the NHC Atlantic Ops twitter page reporting moments ago that as of this moment, Irma is now the stronger hurricane in the Atlantic basin outside of the Caribbean Sea and Gulf of Mexico in NHC records. According to Bloomberg, Irma’s current path - headed straight for Florida - has prompted the state to prepare for the "catastrophic" system. Unlike Harvey, which caused widespread damage, power outages and flooding and taking almost a fifth of U.S. oil refining capacity offline, Irma is a bigger threat to agriculture, with orange juice futures surging. Airlines have canceled flights across the Caribbean and are adding planes to evacuate tourists, while cruise-line stocks have tumbled. RELATED VIDEO at link above. A strike on Florida would be the first time since 1964 that the U.S. was hit by back-to-back storms of Category 3 or more and only the second time since 1851, Henson said. Irma is now among the 7 most powerful storms on record to cross the Atlantic. Some more facts: Florida is the world’s largest producer of orange juice after Brazil. About two-thirds of the state’s citrus crop is located in the lower two-thirds of the peninsula. Orange juice for November delivery jumped as much as 6.9 percent to $1.4595 a pound on ICE Futures U.S. Tuesday, the biggest intraday gain for the contract since Jan. 28, 2016. Cotton for December delivery jumped by the 3-cent exchange limit, or 4.2 percent, to 74.88 cents a pound. Aggregate trading for both commodities for this time doubled compared with the 100-day average, according to data compiled by Bloomberg. “There is an increasing chance of seeing some impacts from Irma in the Florida Peninsula and the Florida Keys later this week,” the National Hurricane Center said after Governor Rick Scott declared an emergency. Irma’s track could shift as it nears Cuba and Florida, according to Bob Henson, a meteorologist with Weather Underground in Boulder, Colorado. One possibility is a turn to the north that would take the storm up the Florida peninsula. Beyond the threat to people and property in the Caribbean, the focus for now is on agriculture, Jakob said. Irma is leading traders to be “long orange Juice futures rather than gasoline futures," he said. Only three Category 5 hurricanes have hit the contiguous 48 U.S. states, Henson told Bloomberg. The Labor Day Hurricane of 1935 that devastated the Florida Keys, Hurricane Camille in 1969 and Hurricane Andrew that cut across Florida in 1992. Andrew was originally classified as a Category 4 storm only to be upgraded years later after further analysis. Update 2: While few are willing to admit it yet, according to meteorologist Ryan Maye, Hurricane Irma is still intensifying, with winds up to 155-knots (180 mph) and that extrapolating Saffir-Simpson scale, 158-knots would be Category 6. Update: Irma has been upgraded from a Cat 5+ Hurricane to "Potentially Catastrophic" Cat 5++ storm, with winds now near 180 mph gusting to 220 mph, still moving due west at 14 mph. At 1100 AM AST (1500 UTC), the eye of Hurricane Irma was located near latitude 16.8 North, longitude 58.4 West. Irma is moving toward the west near 14 mph (22 km/h), and this general motion is expected to continue today, followed by a turn toward the west-northwest tonight. On the forecast track, the extremely dangerous core of Irma is forecast to move over portions of the northern Leeward Islands tonight and early Wednesday. Irma has strengthened to an "extremely dangerous" Category 5 hurricane, the National Hurricane Center said in its advisory at 7:45am AST. According to the Hurricane center, NOAA and Air Force hurricane hunter aircraft data indicate Hurricane Irma has intensified into an "extremely dangerous" Category 5 hurricane on the Saffir-Simpson Hurricane Wind Scale with maximum winds of 175 mph (280 km/h) with higher gusts. As of this moment, the hurricane is located 270 miles east of Antigua, moving west at 14 mph. States of emergency were declared in Puerto Rico, the U.S. Virgin Islands and all of Florida while people on various Caribbean islands boarded up homes and rushed to find last-minute supplies, forming long lines outside supermarkets and gas stations. This morning the Dominican Republic has issued a Hurricane Watch from Cabo Engano to northern border with Haiti; Tropical Storm Watch from south of Cabo Engao to Isla Saona. According to meteorologists, Irma is the 17th hurricane in the Atlantic on record to have max winds >= 175 mph. Atlantic max wind record is Allen (1980) at 190 mph. Ultimately, the question is how strong Irma will be when it inevitably makes landfall on the Eastern Seaboard, somewhere in the vicinity of Miami. Meanwhile, officials across the northeastern Caribbean canceled airline flights, shuttered schools and urged people to hunker down indoors as Hurricane Irma barreled toward the region, now as an "extremely powerful" Category 5 storm. Irma's maximum sustained winds increased to near 175 mph early Tuesday. According to AP, emergency officials warned that the storm could dump up to 10 inches (25 centimeters) of rain, unleash landslides and dangerous flash floods and generate waves of up to 23 feet (7 meters) as the storm drew closer. U.S. residents were urged to monitor the storm's progress in case it should turn northward toward Florida, Georgia or the Carolinas. "This hurricane has the potential to be a major event for the East Coast. It also has the potential to significantly strain FEMA and other governmental resources occurring so quickly on the heels of (Hurricane) Harvey," Evan Myers, chief operating officer of AccuWeather, said in a statement. In the Caribbean, the director of Puerto Rico's power company predicted that storm damage could leave some areas of the U.S. territory without electricity for four to six months. 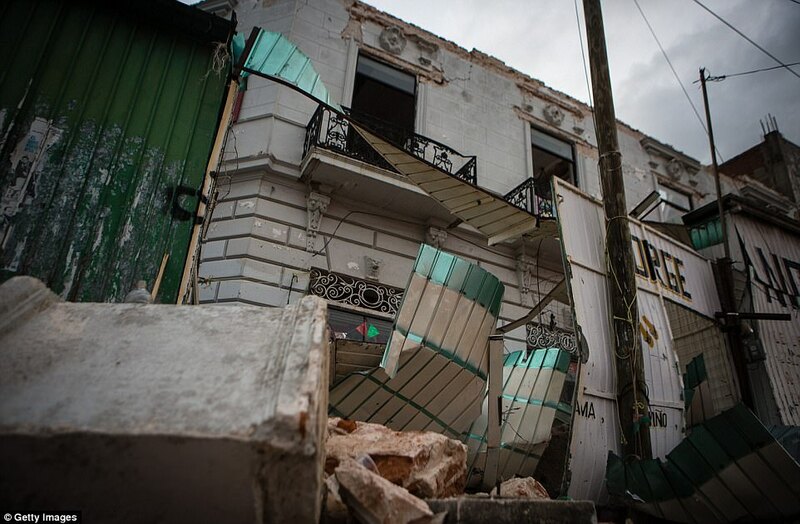 But "some areas will have power (back) in less than a week," Ricardo Ramos told radio station Notiuno 630 AM. The power company's system has deteriorated greatly amid Puerto Rico's decade-long recession, and the territory experienced an islandwide outage last year. Meanwhile, the governor of the British Virgin Islands urged people on Anegada island to leave if they could, noting that Irma's eye was expected to pass 35 miles (56 kilometers) from the capital of Road Town. Antigua and Anguilla shuttered schools Monday, and government office closures were expected to follow. On the tiny island of Barbuda, hotel manager Andrea Christian closed the Palm Tree Guest House. She said she was not afraid even though it would be her first time facing a storm of that magnitude. Both Puerto Rico and the U.S. Virgin Islands expected 4 inches to 8 inches (10-20 centimeters) of rain and winds of 40-50 mph with gusts of up to 60 mph. Puerto Rico Gov. Ricardo Rossello activated the National Guard, canceled classes for Tuesday and declared a half-day of work. He also warned of flooding and power outages. "It's no secret that the infrastructure of the Puerto Rico Power Authority is deteriorated," Rossello said. Meteorologist Roberto Garcia warned that Puerto Rico could experience hurricane-like conditions in the next 48 hours should the storm's path shift. "Any deviation, which is still possible, could bring even more severe conditions to Puerto Rico and the U.S. Virgin Islands," Garcia said. The U.S. Virgin Islands said the school year would open Friday instead of Tuesday. Residents on the U.S. East Coast were urged to monitor the storm's progress due to the possibility it could turn northward toward Florida, Georgia or the Carolinas. "This hurricane has the potential to be a major event for the East Coast. It also has the potential to significantly strain FEMA and other governmental resources occurring so quickly on the heels of (Hurricane) Harvey," Evan Myers, chief operating officer of AccuWeather, said in a statement. In Miami-Dade County, the early scramble was on to stock up on hurricane supplies, reports CBS Miami. People were shopping for gasoline, generators, food, batteries, and everything else they'd need get by were Irma to hit the region hard. 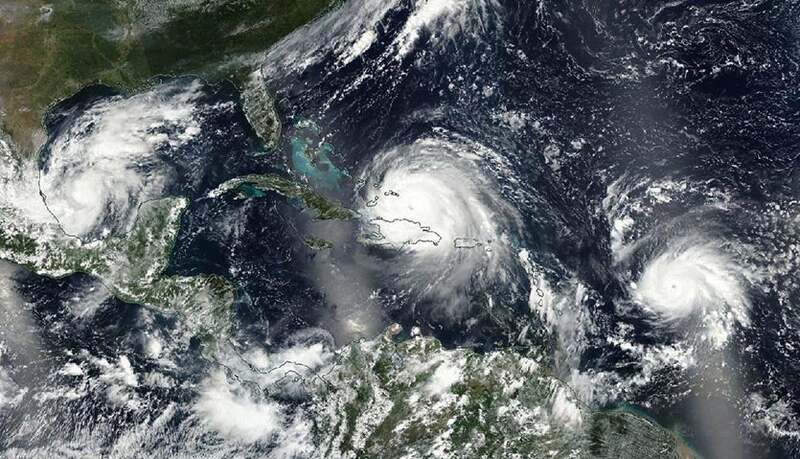 "We are not yet at the height of hurricane season and people have not taken steps to get prepared yet," Miami-Dade County Emergency Management Director Curt Sommerhoff said Monday. "We are encouraging them to take those steps today." Miami-Dade officials were to meet Tuesday to assess the danger. Hurricane Irma is now hammering parts of the Bahamas and Cuba as a Category 4 hurricane. Hurricane watches and warnings have been issued for parts of Florida. Hurricane warnings have also been issued for portions of the Bahamas and Cuba. Irma will likely make a direct hit on South Florida this weekend as at least a Category 4 hurricane. Parts of Georgia and the Carolinas could then be struck by Irma early next week. 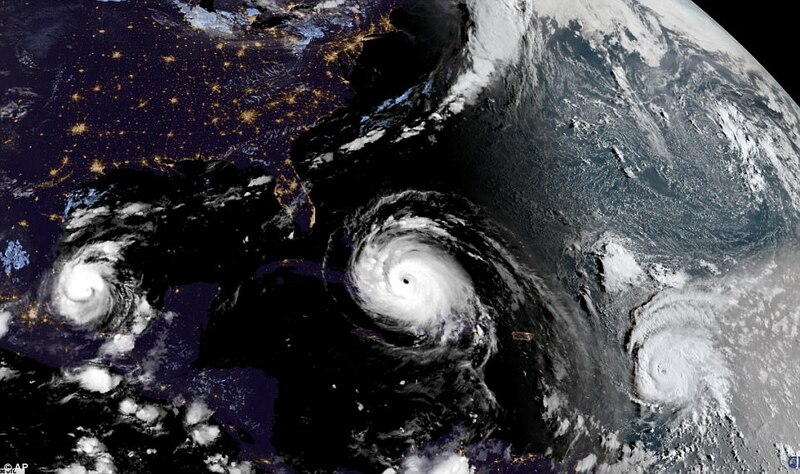 Hurricane Irma, a potentially catastrophic Category 4 hurricane, is now hammering parts of the Bahamas and Cuba, and will turn its fury on Florida in what is likely to be the state's strongest hurricane strike since Charley 13 years ago. The center of Irma is located about 55 miles northwest of Great Inagua Island, or just under 500 miles southeast of Miami, and is moving west-northwestward at about 16 mph. Irma's maximum sustained winds have dipped a tad to 155 mph, still a formidably strong Category 4 hurricane, based on data from an Air Force Hurricane Hunter aircraft indicating the hurricane is currently in an eyewall replacement cycle, during which a new outer eyewall replaces the old inner eyewall. Hurricane warnings have been issued for Florida's Jupiter Inlet southward around the peninsula to Bonita Beach, the Florida Keys, the Bahamas, the Turks and Caicos Islands and the Cuban provinces of Camaguey, Ciego de Avila, Sancti Spiritus and Villa Clara. A hurricane watch is also in effect for portions of Florida, from north of the Jupiter Inlet to Sebastian Inlet, as well as north of Bonita Beach to Anna Maria Island, along with the Cuban provinces of Guantanamo, Holguin, Las Tunas and Matanzas. A storm surge warning has also been issued from the Jupiter Inlet to Bonita Beach and the Florida Keys. A storm surge watch is in effect from north of the Jupiter Inlet to Sebastian Inlet and from north of Bonita Beach to Venice. Low wind shear, increased mid-level moisture and increasing oceanic heat content favor that Irma will remain a powerful hurricane (Category 4 or stronger) for the next several days, though some intensity fluctuations are likely at times. At this intensity, small deviations in wind speed will not significantly change impacts. A direct hit will be devastating. For the next couple of days, Irma will move west-northwest on the south side of a ridge of high pressure called the Bermuda high, centered in the central Atlantic. This weekend, Irma will begin to turn north in the direction of a departing southward dip in the jet stream that has set up in the eastern United States. The location of that northward turn will dictate where the most severe impacts from Irma occur in Florida and the southeastern United States. It is now likely South Florida will see severe hurricane conditions starting this weekend. Major impacts could then spread through the rest of the Florida Peninsula, Georgia and the Carolinas. Here's a general overview of the timing for impacts from Irma into next week. Irma is forecast to remain in a favorable warm water, light shear environment for the next 36-48 h. The intensity guidance shows a slow weakening during this time, but Irma is expected to remain at least a Category 4 hurricane until landfall in Florida. After landfall, a fairly quick decay in maximum winds is expected due to land interaction and increased shear, although Irma's large wind field is likely to still produce hurricane-force winds over a large area. There are two caveats to the intensity forecast. First, some additional weakening could occur during the eyewall replacement, followed by re-intensification as the cycle completes. Second, the ECMWF, UKMET, and NAVGEM forecast a track over or close to the coast of Cuba that is not currently a part of the track forecast. If this occurs, Irma could be weaker than currently forecast along the later parts of the track. The NHC is currently forecasting that Irma will make its Florida landfall sometime late Saturday night or early Sunday morning as a powerful Cat-4 storm..
...and a storm surge of up to 10 feet in the Florida Keys. Not surprisingly, the mad rush to evacuate has left about 40% of the gasoline stations in the Miami-Fort Lauderdale region without fuel. Floridians have turned to the Crowd-Sourced ‘Gas Buddy’ App to determine which stations still have gas. Meanwhile, as we noted yesterday, meteorologists from Weather Underground are warning that the most devastating impacts of the storm could be felt much further north in towns along the coast of Georgia and South Carolina where the storm surge could be a catastrophic 20-28 feet high in certain areas. To put that in perspective, Hurricane Katrina in 2005 set a record for the largest storm surge ever recorded along the U.S. coast at 27.8 feet. As Weather Underground notes, Savannah in Southern Georgia could see a surge of up to 23 feet if Irma strikes as a Category 3 storm. Obviously, the surge would be even larger if Irma manages to maintain Cat-4 winds. Maximum of the "Maximum Envelope of Waters" (MOM) storm tide image for a composite maximum surge for a large suite of possible mid-strength Category 3 hurricanes (sustained winds of 120 mph) hitting at high tide (a tide level of 3.5’) along the coast of Georgia. What’s plotted here is the storm tide--the height above ground of the storm surge, plus an additional rise in case the storm hits at high tide. Empty brownish grid cells with no coloration show where no inundation is computed to occur. Inundation of 19 – 23’ will occur in a worst-case scenario along most of the coast. Meanwhile, further north in Charleston, SC the surge could also exceed 20 feet and flood areas many miles inland from the shore. Maximum of the "Maximum Envelope of Waters" (MOM) water depth image for a composite maximum surge for a large suite of possible mid-strength Category 3 hurricanes (sustained winds of 120 mph) hitting at high tide (a tide level of 2.5’) along the coast of South Carolina near Charleston. If Irma is a Cat 3 in South Carolina, a worst-case 17 – 21’ storm tide can occur. "There was no gas and it's gridlock. People are stranded on the sides of the highway... It's 92 degrees out and little kids are out on the grass on the side of the road. No one can help them." Hurricane Irma plowed through the Turks and Caicos Islands (population 31,000) on Thursday evening, as it headed west-northwest at 16 mph towards The Bahamas and Florida. Irma maintained Category 5 intensity with 175 mph winds as its eye crossed the small privately-owned Big Ambergris Cay, but the core of hurricane missed the capital of Cockburn Town, and may pass just south of Providenciales, the most heavily populated island in the country. Hurricane hunter observations on Thursday evening showed lower winds in Irma than earlier in the day, and found a distinct double wind maximum, caused by concentric eyewalls. By my count, this may be Irma’s 7th eyewall replacement cycle, and appears to be the first one that has notably degraded the hurricane’s maximum winds. The Air Force hurricane hunter plane in the storm Thursday night found top surface winds near 165 mph on their first pass through the eye near 7:35 pm EDT, but only 140 mph on their second pass through near 9 pm EDT. The pressure stayed nearly constant in the two passes, at 920 and 921 mb, respectively. The reduction in the peak winds is not necessarily a good thing, since the hurricane hunter data showed that the hurricane-force winds of the storm had spread out over a larger area, which will increase the storm surge. In addtion, the fact that Irma maintained its very low pressure may mean the aircraft may have missed sampling the strongest winds of the hurricane. Total precipitable water loops showed that part of Irma’s apparent weakening may be due to the island of Hispaniola blocking the inflow of moisture from the south, which was reducing the amount of moisture to the storm. This effect will diminish on Friday morning, when Irma moves to the west of Hispaniola. The hurricane will then be drawing air from the south over high terrain in Cuba, but the blocking effect of Cuba is much less than that of Hispaniola. I don't see any reason for Irma to weaken further through Saturday, and it may intensify again to 185 mph winds. DISGUSTING=> Washington Post Holds Hurricane Watch on Trump Caribbean and Florida Properties. The anti-Trump Washington Post has a hurricane Irma watch going on Trump properties in the Caribbean and Florida. And it’s not because they care so much for the American president and his estates. It’s so they can sit around and chuckle at his suffering. I don't know Swanny. If indeed these are man-made storms, then yes. 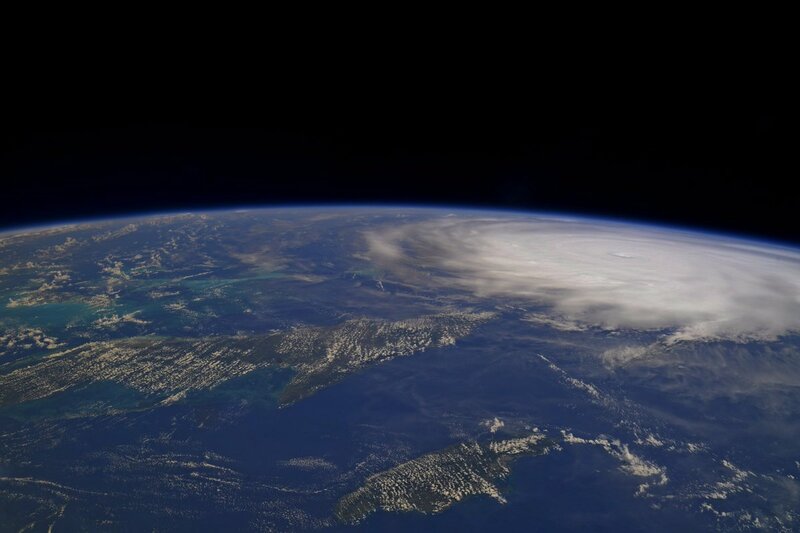 However, earth is undergoing a massive Geomatic storm, the 8.1 quake in Mexico, the storms in Texas and now Florida. I just listened to this where they were predicting massive earth changes in 2000, abrupt climate change. So are we in the middle of a slow pole shift? POLE SHIFT HAPPENING Retired Military Man FACTS Extinct Level Event! Every thing he is talking about is happening now. One day after suffering from a massive 8.2 magnitude earthquake, Mexico is hit with another natural disaster as tropical storm Katia made landfall Friday evening. 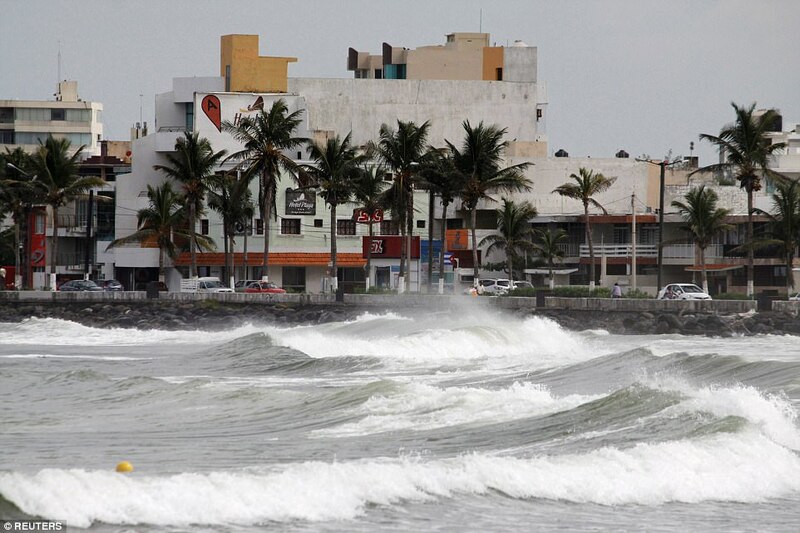 The US National Hurricane Center said the storm hit Tecolutla in Mexico. State Officials say that Katia is expected to produce a 'total rain accumulations of 10 to 15 inches over northern Veracruz, eastern Hidalgo, and Puebla.' Tropical storm Katia expected to make landfall on Saturday as Mexico struggles to recover from earthquake. One day after suffering from a massive 8.2 magnitude earthquake, Mexico is hit with another natural disaster as tropical storm Katia made landfall Friday evening. They added in a statement on Friday that the storm could cause landslides and flooding, and urged people living below hills and slopes to be prepared to evacuate. Hurricane Irma barreled through the Caribbean with record force Wednesday morning and is on course to hit parts of the British Virgin Islands and even Puerto Rico by the end of the day. Hurricane Irma intensified into a monster storm in the Atlantic Tuesday, with sustained winds of 185 mph and gusts of 218 mph. The storm's Atlantic wind speeds are behind only 1980's Hurricane Allen, which topped off at 190 mph. The scale of Hurricane Irma, which has grown to the size of Texas, is seen in an illustration. Irma strengthened to a Category 5 storm Tuesday, though it could lose some power and downgrade to a Category 4 before it hits the United States. The last storm to make landfall in the U.S. with a Category 5 classification was Hurricane Andrew, which left a devastating $26 billion in damages in its wake. The 1992 storm was the most expensive natural disaster in United States history until it was surpassed by Hurricane Katrina in 2005. Only three Category 5 hurricanes have hit the U.S. including Camille in 1969 and an unnamed storm in 1935. Category 5 storms — which are defined only by wind speed — boast winds of more than 157 mph and are the most intense on the Saffir-Simpson hurricane strength scale. Police patrol the area as Hurricane Irma slams across islands in the northern Caribbean in San Juan and Puerto Rico on September 6, 2017. The historically powerful storm brought torrential rain to the Caribbean as it made its landfall Wednesday morning. Through Saturday, Irma is expected to dump 8 to 12 inches of rain on the Southeast Bahamas, the Turks and Caicos as well as parts of Cuba. Northern Dominican Republic and northern Haiti are bracing for 4 to 10 inches while southwest areas of Haiti should expect up to 4 inches, according to the National Hurricane Center's 11 a.m. advisory. Florida is also preparing for heavy rain and flooding. People make Hurricane Irma preparations at a Winn Dixie store on September 6, 2017 in Hallandale, Florida. Hurricane Irma, currently a category 5 storm, has already slammed into various Caribbean islands, including Barbuda and Saint Martin, and brought with it 185 mph winds and flodding. Puerto Rico and Florida are also expected to feel the effects of the storm. "In all areas this rainfall may cause life-threatening flash floods and mudslides," according to the notice. By mid-day Wednesday, Puerto Rico was already struggling through power supply issues, Ricard Ramos, the director of Puerto Rico Electric Power Authority said in an interview with local radio station Notiuno 630 AM. He said power would likely be restored to parts of the island a week within the storm's passing. Other area on the island won't be so lucky, Ramos said, predicting blackout lasting at least three months in parts of the U.S. territory. Hurricane Irma ranks among the most powerful hurricanes ever recorded and is one of the strongest ever to hit the Atlantic. It has intensified to the point where it's beginning to show up on seismometers used to measure earthquakes. An overlay tweeted out by NBC5 Meteorologist Brian James revealed the storm itself is about the size of Texas. It measured 785 miles wide Tuesday night, the meteorologist said, adding that the Lone Star State spans about 720 miles from El Paso to its opposite border near Shreveport. While the storm's exact path still remains unclear, it appears to be moving northwest at about 16 mph, according to the NHC. Hurricanes typically follow whatever path offers the least resistance, experts said. As of Wednesday morning, the super storm had already hit Barbuda and continues roaring towards the U.S. and British Virgin Islands, as well as Puerto Rico — all of which are under hurricane advisories, according to the NHC. Experts predicted Irma was likely to hit the Dominican Republic Thursday, then the Turks and Caicos Islands as well as the Bahamas on Friday. They place the storm in Cuba on Saturday and Sunday and expect it will make its way to Florida early Sunday. "The chance of direct impacts from Irma later this week and this weekend is increasing in the Florida Keys and portions of the Florida Peninsula," the Hurricane Center warned. "However it is too soon to specify the timing and magnitude of impacts." 6 REASONS WHY HURRICANE IRMA COULD BE "THE NATURAL DISASTER OF OUR TIME"
Hurricane Harvey was a tragic nightmare that hit the Texas shores with force and then lingered for days, dumping truck-loads of rain on a city ill-equipped to handle it. Florida is next, and if predictions are accurate, Hurricane Irma is going to be far worse than Houston was, and worse than anyone has prepared for. 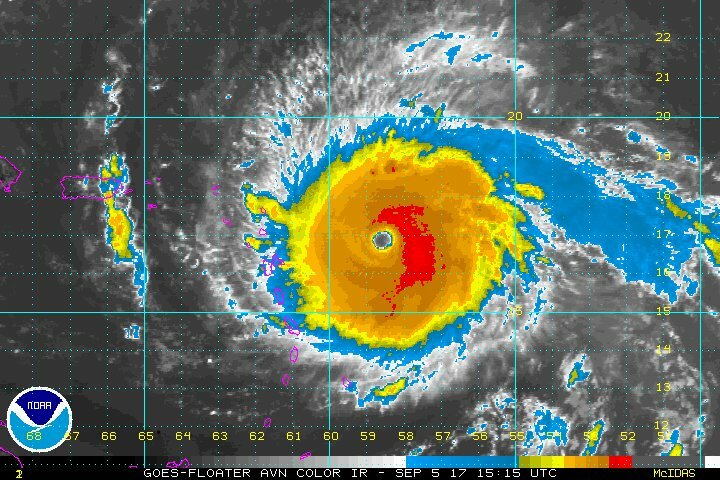 Already, Irma is setting records and being named the strongest storm the Atlantic Ocean has seen on record. Here is a short list of things meteorologists and experts at the Hurricane Center have already seen from Irma that should give everyone pause. 1. THE WIND SPEEDS BROKE THE MEASURING TOOL. The wind was so strong when Irma passed over Barbuda that the monitoring equipment used to measure the wind was damaged and couldn’t report an accurate account of the wind speed. It tapped out at 151 mph. 2. THE PROSPECT OF 185MPH WIND SHOULD STRIKE FEAR INTO OUR HEARTS. The gusts for the Category 5 storm have reached 185 mph. That’s the equivalent of an EF4 tornado sitting on an area, nonstop for hours. To put that into perspective, the photo below is of the damage sustained by residents of Garland/Rowlett, Texas after an EF4 tornado blew through in 2015. To make matters worse, NOAA’s tools dropped into the hurricane to measure the storm and recorded 226mph gusts from its northeast eyewall. 3. NO ONE HAS HEARD FROM THE TINY ISLAND IT HIT IN HOURS. Barbuda is a tiny island with barely over 1,000 residents. The top elevation on the island is 125 feet above sea level. Storm surges, however, predict waves will reach seven to 11 feet in the Northern Leeward Islands. That was worse for Turks and Caicos, which is expected to see 15- to 20-foot storm surges. As long as the surges are under 10 feet, Barbuda will be fine, but storm surges like those expected for Turks and Caicos would destroy the island. Already, what scientists have seen from Barbuda is leaving them speechless. Tide sensors in Barbuda recently reported 7.89 feet above what the average height of the top tide is each day. “I am at a complete and utter loss for words looking at Irma’s appearance on satellite imagery,” tweeted Taylor Trogdon, of the National Hurricane Center‏. 4. IRMA RIPPED GRASS FROM ITS ROOTS. CNN meteorologist Chad Myers reported that there were parts of Bermuda that saw vegetation ripped from the soil, the winds were so strong. The claim hasn’t been reported by other outlets and there are no photos or video yet that show the full extent of the damage. 5. MIAMI ISN’T PREPARED — NO ONE IS. Florida is as good as it gets at handling hurricanes, similar to states that are accustomed to navigating tornadoes or weathering earthquakes. Florida citizens know how to prepare for a storm. However, the strength of Irma seems to dwarf more recent hurricanes. Already, the city of Miami is being forced to raise its roads to accommodate rising waters creeping into the city. A report from The Atlantic notes that the last major hurricane to hit Miami was in 1926 and 400 people were killed. Back then, the city boasted 100,000 residents, but today the population is more like 6 million. Disaster planners have long been concerned about a natural event of this magnitude hitting a major U.S. city. If Irma turns toward Florida, this could be the horrific event they’ve feared. “It won’t survive,” said former top emergency manager Craig Fugate in 2014. 6. PRESIDENT DONALD TRUMP ONLY BARELY UNDERSTANDS THE CRISIS. 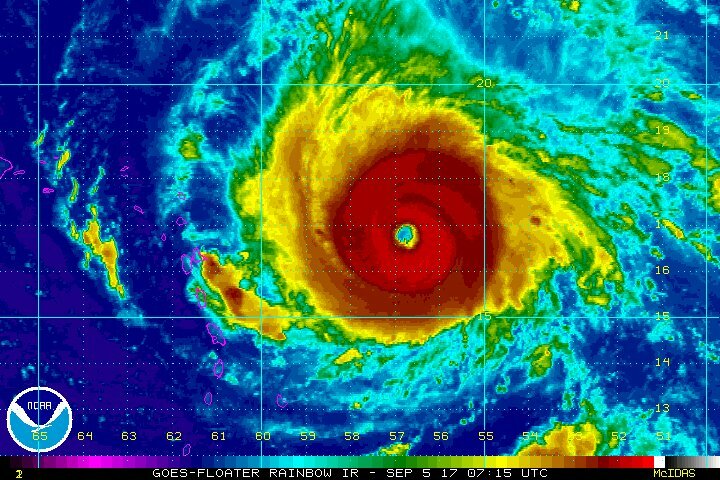 Major Hurricane Jose Turning Cat 5 NOW. 9/9/17 Hurricane Jose Advisory Number 9 WARNING!!!!! [Per ATCF Best Track and satellite estimates, Hurricane #Jose has become the third major hurricane of the 2017 Atlantic season. Where did the ocean go? "Hurricane Irma, the most powerful Atlantic storm in a decade, hit Cuba overnight as a rare Category 5 storm before being downgraded to a Category 3"
On Monday September 4th the water was retreating near Brazil. September 8, 2017: According to a witness out of pontal of paraná / PR , Southern Brazil , water has once again mysteriously vanished from two coastal areas, (one confirmed video) leaving many fishing boats sitting in the mud. It is said to have happened twice that day, September 4th, 2017. The second occurrence happening 230 miles to the north near São Sebastião / SP Brazil. "11 years and 9 months ago a movie came out called "Category 7 End of the World" and there were only two episodes called "Harvey" and "Irma"! Read that over a few times until it sinks in. These are NOT "storms", but predictive program attacks of the American people that they told the "U.S." about in the Hollywood black magic ritual of telling the victims exactly how you intend to take their lives. The second hurricane called IRMA in the movie struck the United States on 9/11, and guess when this storm is supposed to hit the "U.S."? This is way too much of a :coincidence" for even the casual observer to ignore. Pressure in a hurricane's center is low and Irma is so strong that it is pulling water into its core, sucking it away from the ocean, according to the Washington Post. Deputy weather editor and meteorologist Angela Fritz explained that this may be the result of what she calls a hurricane 'bulge'. In the center of the storm, pressure is very low which draws water upward into itself. She also noted the wind was blowing away from the shoreline on Saturday which is why water has not filled the void yet. Some Twitter users were concerned since receding shoreline that exposes the ocean floor is often a sign a tsunami is approaching. However, Fritz said the water will not rush back rapidly. The International Tsunami Information Center notes on its website, when the sea drains away to not investigate because this is a typical sign of an incoming tsunami. The National Weather Service said late Saturday that the first hurricane-force wind gusts have been recorded in the Florida Keys as Irma inches closer to landfall. Watch continuing coverage on Fox News Channel and FoxNews.com. The National Hurricane Center says Hurricane Irma’s center has shifted west to gain more strength and has taken aim at St. Petersburg, Fla.
Hurricane Irma makes landfall at Cudjoe Key in the Florida Keys as a Category 4 storm with 130 mph winds, according to the National Hurricane Center, and is forecast to hug Florida's western coast off Fort Myers through day. HURRICANE JOSE: Direct hit into New York City? Use the calendar on the bottom. Look how slow Jose is moving. Look how fast Lee is moving. Below Sandy’s path by comparison. Carol wrote: Good one Swanny. Did you check if this is true ? Are "Harvey" and "Irma" mentioned in the movie ?